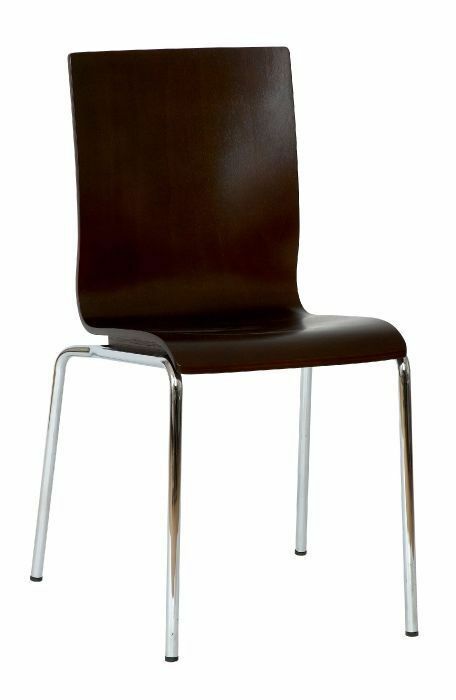 Contemporary bistro chair with a single molded shell in Beech or Wenge. Available from stock for a 2-3 day delivery. Includes a sturdy chrome base and anti skid feet. Simple yet sleek and modern design for a commercial cafe. 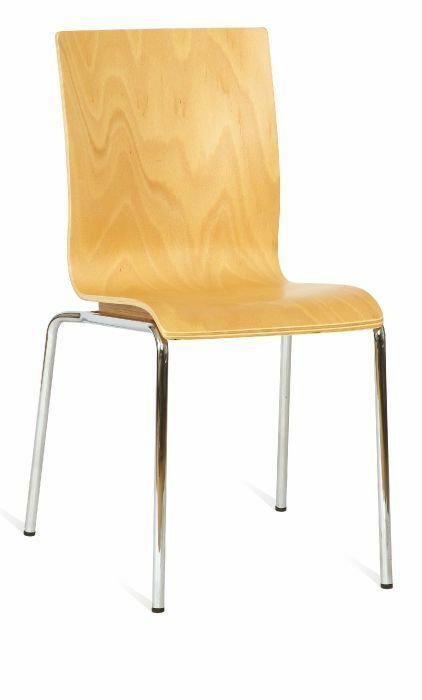 This section of our web site presents beech café and bistro chairs that are available from stock on a quick delivery period. We are offering the. 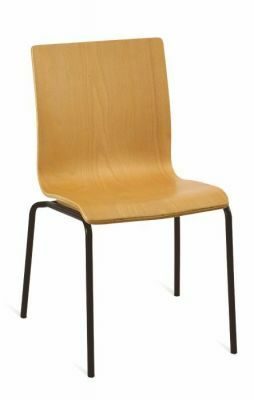 We also have an upholstered version of the Keeler bistro chair which is in stock in a black vinyl. The Spiral café chair presents an interesting design with an extra tall back and a spiral shaped carved into the back. For a small extra charge we can provide a design on the back to our customer's specification. The Glam series of Bistro chairs is offered with either a chrome or silver ERP frame. This range of café seating has three distinctive designs and is offered in a very comprehensive range of stretch fabrics, tweeds or vinyl's. The Butterfly bistro chair in beech is currently on our special offer section. This is available at a very low price on a 2-3 day delivery. The butterfly bistro chair is delivered flat packed and is easily assembled. The Saturn plastic café chair in blue or black is a good heavy duty bistro chair and has a convenient hole which can be used as a handle located on the back of the chair. Our ranges of plastic chairs also contain chairs that can be used in café's and coffee bars. Many of these can be used outside The Titan chair is a good choice consisting of hi density polypropylene and an ample size seat and back this chair is offered in a range of contemporary colours. For further great deals on Café chairs please check our ranges of Bistro sets. These are café tables and chairs put together as they match and at an improve price when these chairs and tables are bought together.